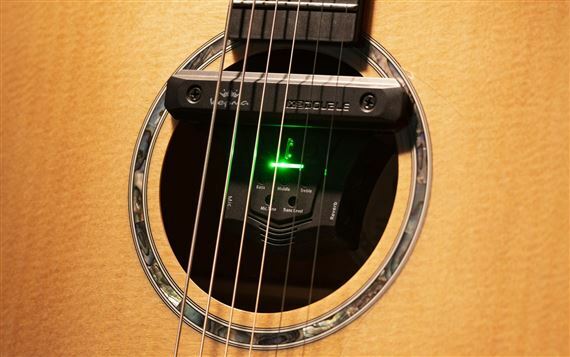 Order your Kepma AcoustiFex Go Acoustic Guitar Pickup Preamp and Effects System from AMS and enjoy 0% Interest Payment Plans, Free Shipping, Free Extended Warranty & 45 Day Money Back Guarantee. The patented Kempa AcoustiFex GO preamp and effects unit provides you with amazing live acoustic sound and stunning onboard studio-quality effects (reverb, chorus and delay) both with and without external amplification. The Kempa AcoustiFex G0 represents a breakthrough in acoustic engineering and sound design allowing you to get stunning acoustic sound and effects from any acoustic guitar with or without being plugged into an amplifier or sound system. 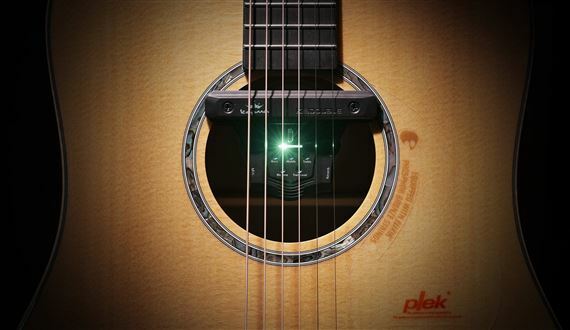 It simple to install into any acoustic guitar soundhole in minutes and can used as a permanent installation with an end pin jack or you can run the cable from the sound hole into a leather pouch keeping it from interfering with your playing. The effects are awesome! And they sound amazing unplugged! Couldn't be happier with the purchase. super new teck-this does all. so easy to assemble played out with it i was relly impressed with it .plus it can charge well .i hilly recamend trying it .maby a little heaver then you might want. but its relly nice. Really easy to install, amazing sound. A great solution for someone who wants to amplify their acoustic guitar, but it works acoustically as well, effect and everything!